Empowering parents to support their children is a key aspect of making sure digital homework is a success. In many schools, educators are using connected devices to support personalized learning and collaboration. But when students are asked to use these devices for homework, new challenges arise. Parents often find themselves unprepared—or at least underprepared—for the new edtech landscape. After all, homework time already has its traditional, time-honored challenges. 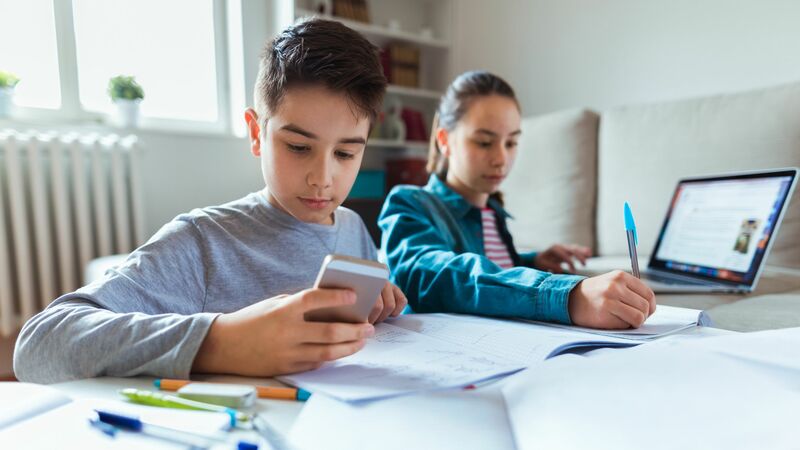 Layer on a digital component where kids may be tempted to use homework as a way to bargain for more connected device time, and parental anxiety is compounded. Indeed, in my work with school districts, educators, parents, and students, one thing is consistent: Parents want to help, they just don’t know how. If you assign (or plan to assign) digital homework, understanding these dynamics can help you A) prepare students to succeed, and B) inform and empower parents to support their children. Here are some best practices I’ve accumulated from my work with educators and families. First of all, research connectivity in your school’s community; homework should not compound inequity. Even in predominantly affluent communities, there may be households that can’t afford Wi-Fi, or choose not to have it. If your district has a 5 percent homeless rate, at least one of your students may be completing homework in a car or at a shelter. Make sure there is an adequate workaround for these students. The public library can be a way to bridge the gap, but confirm that it’s actually accessible for the families who need it. I worked in one district where some families had neither internet access at home nor access to transportation. When in doubt, ask. Some districts now provide Wi-Fi to families and offer flexibility around homework due dates to ensure fairness. One of the biggest and most common challenges of digital homework that parents report is that they they can’t tell if their kids are actually doing their work or using it as an excuse to goof off on the device. To help these parents, you can use a few different approaches. Be explicit to parents about what they can do to support their kids’ success. Do you want parents to monitor screen time? Be engaged in the work itself (e.g., a parent interview or other activity)? Do you want them to report back to you with any observations? Communicate clearly about expected homework time—to both students and parents. This will help prevent students from insisting to their parents that they need to stay up until all hours using a school device for homework. Be as transparent as you feel comfortable. Parental anxiety often comes from lack of information. The more they can see into your process, the more likely they are to actually partner and help you. When students start using a new app or platform to do their homework, parents often worry, “What if my kids ask me for help? Will I actually be able to help them?” Feeling lost is natural when faced with something new to learn. You can help ease their stress a little by bringing them into the process. Communicate the intended outcomes clearly to students and their parents. What are students supposed to be learning from a particular app? What is the process or path you expect students to follow? Frame the parameters for parents so they understand the expectations. Offer guidelines for how much time students should spend on a particular exercise within a particular app. Open the lines of communication so that parents can report back when their child is outside those expectations. This will help you identify problem points so you can make changes in the future. Teach them the app itself. Create and send a quick demo screenshare video, or assign students to demo the app to their parents as a part of their homework. Familiarity goes a long way toward helping parents feel empowered and in control of managing their kids’ digital learning environment. If you have a learning management system (LMS), keep it simple and allow time for parents and students to use it. At almost every school, I’ve heard parents voice their frustration with accessing the LMS, frequent changes and/or updates to the LMS, or having to learn more than one LMS (for those parents with kids in different schools). Keeping systems and implementation as simple as possible (while still achieving your teaching goals) will help parents and students feel more comfortable. You can assign students to run a training for their parents. Send them home with instructions to demo a particular feature and explain what it’s used for. Often, it’s a simple lack of control that is the source of parents’ frustration. They feel that they are out of the loop or want to know, “What’s my kid actually doing on their device?” You can defuse this tension by simply handing control back to them. Games are a frequent sticking point. While they’re a wonderful way for kids to practice skills, some parents report that kids have a hard time limiting their gameplay, even with assigned educational games. If this comes up with a game you’ve assigned, work with the students and the parents to create a schedule. Recognize that a subset of your students will find these transitions especially difficult and that you may need to offer flexibility to these families if the game is disruptive to family life. Educators can empower parents to set up tech rules, even when the tech is provided by the school. Make sure that you inform students that this is the case too, so that you affirm the parents as the final word.